Luxurious exfoliating and conditioning hand, feet and body scrub. A smooth and luxurious exfoliating and conditioning hand, feet and body scrub with the same aroma as award winning Dadi’™ Oil. Use as a pre-manicure/pedicure treatment, in-salon hand and foot massages. Also for at-home use to condition and sooth the skin. 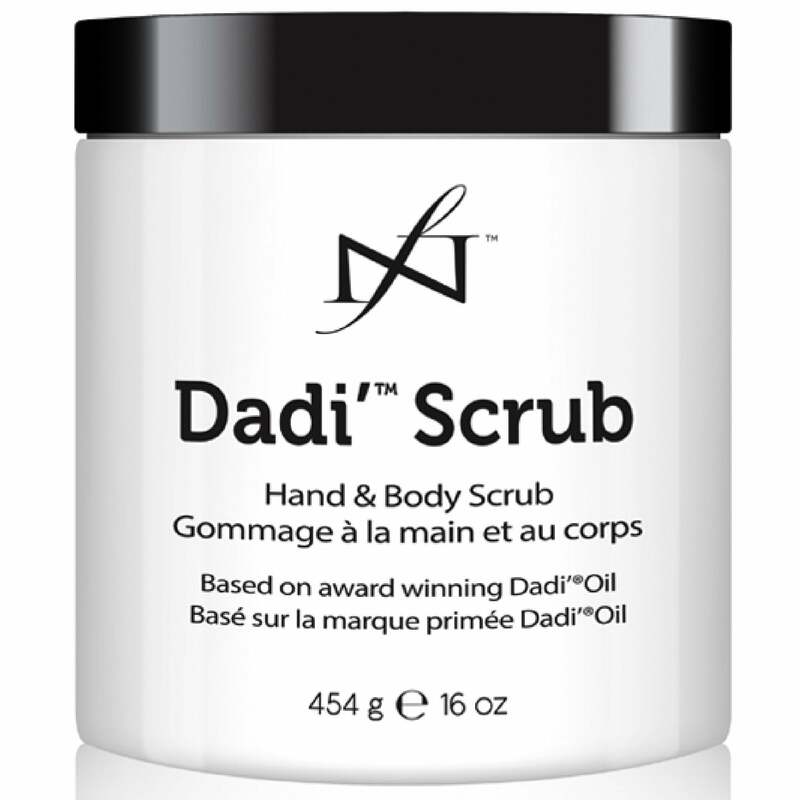 Apply Dadi’™ Scrub to damp hands, feet or body. After enjoying two waves of exfoliation, rinse with warm water. Finish with award winning Dadi’™ Oil and/or Luxury Dadi’Dadi’™ Lotion. Famous Names was founded in 2010 by Linda and Jim Nordstrom, who have spent their entire professional careers in the professional beauty industry. The company is dedicated to creating best in class beauty products, provided by professionals to professionals.